A tool for seamless live coding demos! Today I’m excited to release my live coding demo snippet tool Demo Remote to the world. 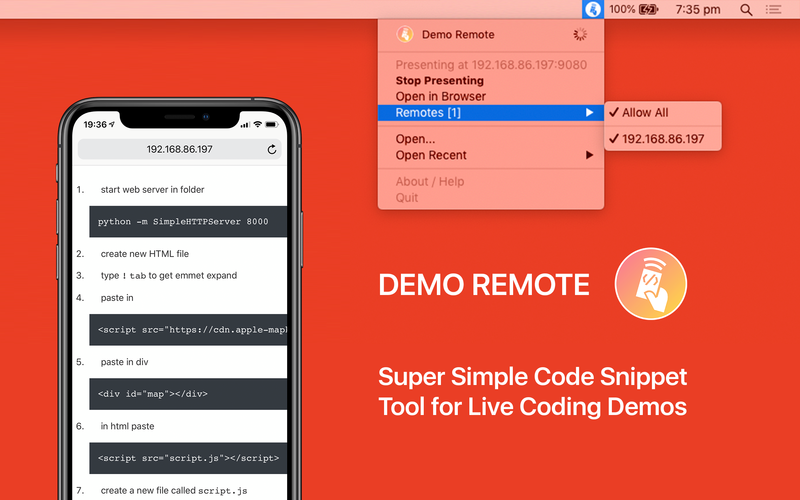 If you find yourself live coding during presentations and want to be as smooth as the Apple WWDC presenters then give Demo Remote a try! For example, I’m giving a quick presentation on setting up MapKitJS. I have a script for my live coding written in markdown. I open it in Demo Remote and select start presenting. On my iPhone I open the remote webpage and I’m good to go! During the presentation when I get to the next code step in my script, I tap the code block on my iPhone and immediately ⌘-V it into my text editor on my Mac. 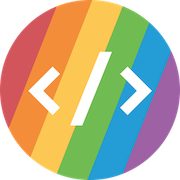 Download Demo Remote today to make your live coding demos the best in the business!